There can be no successful contradiction: Jesus and the apostles taught the immanence of the eschaton in relation to those that were then alive. If the timing of the eschatological kingdom was not left in doubt, its nature was clothed in ambiguity. In Jesus’ day, the expectation was that the kingdom announced by the prophets was essentially political; the Messiah would be a national liberator who would restore the Davidic throne, deliver Israel from Roman servitude, and propel the nation to world dominance. To a certain extent, the confusion extant during Jesus’ earthly ministry continued during the apostles’ lives. For example, John indicates that, because Jesus said he would live until his return, the saying went abroad that John would not die, but would be wondrously “raptured” to ethereal realms above at Christ’s coming. (Jno. 21:19, 20; cf. Matt. 16:26, 27) Paul found it necessary to reiterate his instruction to the Thessalonians. The Thessalonians thought the crisis marked by the “man of sin” was immediately upon them; Paul reminded them that not until “he would lets” (Claudius) was taken out of the way would Nero ascend the throne and eschatological harvest (gathering by martyrdom) break out. (II Thess. 1-11; cf. Rev. 14:12-16) All this to say that details of the eschaton were not fully understood from the very start, even amongst those that accompanied Jesus. Victorinus here connects the “beast” from the abyss with the Roman empire and the “Wicked One” with the one who was prince when Paul wrote (Nero), and would follow his father (Claudius) to the throne. “All things renewed” refers to Rev. 21:5, and shows Origen understood that Revelation spoke to the destruction of Jerusalem and that we are living in the new heavens and earth. Space prevents more examples. None of the writers above were Preterists; one and all still looked for Christ to come a second time. Yet, their writings evidence definite Preterist strains and influences. They are like men being pulled in two directions: backward to the events of the first century and forward to the purported end of the cosmos. Unable to reconcile their conflicting eschatologies, they synthesized futurism and preterism, inventing fantastic notions about Nero and Elijah returning a second time. How can this be accounted for? We submit that the original Preterism of Christ and the apostles was never fully lost, but was handed down by tradition and preserved by diligent study of the scriptures, and continued to manifest itself, even when the larger truths about Christ’s second coming were totally lost or obscured. This sort of approach betrays the most fundamental misunderstanding of the usus loquendi (Lat. “manner of speaking”) of the prophets. It never occurs to the writer that the prophets spoke figuratively and poetically of the things they described. Chiliasm was quickly repudiated by the thinking church and later condemned as heretical by the Augsburg and Helvetic Confessions. However, in England, where these confessions had no authority, chiliasm was revived by Mede, Sir Isaac Newton, and Whiston. Later, it was picked up by Darby and Scofield and woven into the fabric of modern day Dispensational Premillennialism, where it has been secretly promoted and served with advantage Jewish Zionists who have bent Anglo-American foreign policy toward Israel and the Middle East to their purpose. Applied to Revelation, the spiritualizing method meant that the contemporary-historical parameters of the book were lost or ignored and it was treated allegorically instead. The allegorical method of Alexandria exerted great influence upon leading thinkers in following centuries. The great personalities of the beginning of the medieval period, Eusebius, Jerome, Tyconius, and Augustine, understood apocalyptic symbolism in terms of the struggle between good and evil in every age, rather than specific events in history or the world’s end. Augustine, for example, saw Revelation in terms of a spiritual allegory telling the story of redemption. Although the Antichrist and Elijah were literal characters who would appear in history, for Augustine they are merely actors upon a larger allegorical stage in which two cities co-exist: One group, citizens of Babylon, living in sin and unbelief, the other, citizens of the City of God, sojourning here in faith. On a superficial level, Augustine’s interpretation and method has a certain appeal: There are indeed two classes of men dwelling upon earth; those that are saved and those that are lost. Identifying the saved and lost with the two cities portrayed in Revelation loosely approximates the truth. However, upon closer examination this method is shown to be completely inadequate: If Babylon is a symbol for the lost and the City of God for the saved, what do the other cities in Revelation symbolize and who are their inhabitants? (Rev. 16:19) Moreover, how is it that the beast and kings of the earth combine together to desolate the great city and burn her with fire? (Rev. 17:16, 17) If Babylon is the symbolic city of unbelievers, where would these dwell after they have destroyed their supposed home? And what about the all the language of Christ’s imminent coming so prominent in the letters to the seven churches and other passages in Revelation? (Rev. 1:1, 32:5, 16, 25; 3:3, 10; 16:15; 22:7, 10, 12, 20) If these are to have any meaning, they must be understood in terms of the contemporary-historical circumstances of the original recipients, not an allegorical treatment of the text. The similarity between the free-ranging allegorizing of Clement and Augustine’s explanation of the first resurrection comes through in this passage fairly well. Like Clement who has Joseph’s being cast into a pit represent the battle between knowledge vs. ignorance, for Augustine, the binding of the dragon represents faith vs. unbelief. The devil blinded men through sin and ignorance, but knowledge of the gospel binds the devil, setting men free. Overlooking the historical context Revelation spoke to, Augustine wanders through the pages of scripture looking for an explanation of John’s imagery and ends up treating it as a type of allegory instead, much as he does the great city, Babylon. The text is anchored to no specific historical referent, but floats about through the centuries, mystifying readers who are stymied as much by Augustine’s explanation as they are the symbolism of the passage. The dragon (Rome, Leviathan, the world civil power) was symbolically cast into the bottomless pit (hades, tartarus) upon receiving a mortal wound to its head in the collapse of persecution that arose over Stephen, portrayed in Revelation twelve. (Rev. 12:13-17; cf. Acts 9:31; Rev. 13:3, 14) It was bound there during the reign of Claudius who maintained a policy affording the church the protection of law, even to the point of banishing the Jews from Rome for rioting against Christians. (Acts 18:2) However, upon the ascent of Nero, the restraining power of the religio licita was taken away, and the dragon and beast were loosed to persecute anew the church. (Rev. 17:8; 20:7-10) Thus, the symbolic thousand-year binding of the dragon begins and ends before the reign of the martyrs. The allegorical method of Tyconius and Augustine dominated interpretation of Revelation for the next eight hundred years. The late medieval period saw a marked change in approach to eschatology and Revelation. Most noteworthy, this period witnessed a proliferation of “new” revelations as unstable souls predicted and prophesied the coming of Antichrist coupled with variations upon utopian millennial themes. The historical moorings of Revelation were completely lost to sight; eschatological interpretation was governed by subjective impression of contemporary events. The leading apocalyptic writer of this era, whose influence was to be felt for the next three centuries, was Joachim of Fiore. By this direct “concordance” between the Old and New Testaments, Joachim believed the events of the past, present, and future were clearly identifiable in the scriptures and that the world’s end could therefore be pinpointed. Another of Joachim’s beliefs that was foundational to his system was that the history of the world was made of three status or ages, consisting of forty-two generations each. These status overlapped; the beginning of one overlapping the end of another. The first answered to the law and began with Adam; the second answered to the gospel and began under Uzziah; and the third began under St. Benedict. The third status Joachim believed would succeed and completely displace the gospel/church age in A.D. 1260 and would fulfill the imagery of Rev. 21 and 22, the new Jerusalem. Joachim thought the third status was to be marked by the perfection of the church, which would be organized along monastic lines with two great orders of monks leading disciplined and contemplative lives (this is why it began with Benedict). Joachim’s belief that present and future events were predictable, together with his belief in the imminence of the coming third status, meant that Revelation and other eschatological scriptures were to be interpreted in light of contemporary events. Saracens, Moslems, Mongels, Tartars, princes and popes all became the stuff of eschatological interpretation. The imminence which marked eschatological expectation also tended to produce a fanatic, lunatic fringe, particularly in the Franciscan order. Given the fanatical nature of its origin and rule, it is not surprising that the Franciscan order soon became a hotbed of Joachite apocalyptic expectation. Many Franciscans believed that their commitment to poverty and monasticism identified them as the future order of monks, preserving the life of Christ and the apostles, which Joachim had written about. It is with this view that in A.D. 1250, a young friar named Gerardo of Borgo San Donnino issued a work called the Introduction to the Eternal Gospel, which was an interpretation and summary of Joachim’s three major works. Gerardo’s Introduction claimed that the third status would arrive in A.D. 1260, signaling the total abrogation of the church of the second status, including the substitution of Joachim’s writing for the Old and New Testaments. Gerardo’s work created such a scandal that a papal commission was held at Anagni under Alexander IV in A.D. 1255, which condemned the Introduction, but not Joachim himself. Gerardo was imprisoned for life and the minister general of the Franciscans, John of Parma, was forced to step down from his position. The history of apocalyptic frenzy among the Franciscans reaches unto the latter half of the fifteenth century. The Great Schism (A.D. 1378-1418) witnessed three popes reigning simultaneously, one from Avignon, one from Rome, and a third from Pisa. The schism was healed by the Council of Constance, which deposed the Avignonese and Pisan popes, allowed the Roman pope to resign, and elected a new pope, Martin V (A.D. 1417-1431). As a necessary condition to reform the church, the Council declared its supremacy to the pope and established a timetable for future reform councils, which Martin and his successor preceded to undercut. Thus died hopes for reform of the medieval church. However, the fact of the schism fueled apocalyptic expectations. Dissident off shoot groups of Franciscans called “Fratricelli” (Little Brothers) circulated a new generation of private revelations. The reformation and perfection of the church continued to be a recurring theme; the carnal church was called the whore of Babylon; the coming perfected church of the third status/seventh age was identified with the new Jerusalem. More and more the papacy was interpreted as the actual or mystical antichrist. The drama finally drew to a close when, after nearly three hundred years of spurious claims of new revelations and irresponsible exegesis of biblical texts, the Franciscan order was reined in following a period inquisition and executions by papal authorities on the one hand, and determined resistance and assassinations on the other. This brief summary does not cover all the movements and interpretive schools of the late medieval period. Many did not subscribe to the apocalypticism of Joachim and the Franciscans, notably, the Dominican scholastic, Thomas Acquinas. However, it does represent the dominate trend and literature of the period. In its failure to see the historical context of Revelation, its interpretation of apocalyptic material in terms of contemporary events, its characterization of the Catholic church as Babylon, and the pope as antichrist, the latter medieval period anticipated themes of the Reformation, the next stage in the road back to Preterism. The method of interpretation that came out of the Reformation is called the “Continuous Historical.” This approach finds in the imagery of Revelation a continuous, chronologically sequential panorama of history reaching until the world’s end. The first to use this approach was Nicolas of Lyra (A.D. 1329) in his Postilla. A Franciscan who rejected the apocalypticism of Joachim and his fellow Franciscans, Nicolas proffered a continuous-historical interpretation of Revelation beginning in the first century and reaching to his own time. The continuous-historical method was introduced into the Reformation by Luther. Luther was much indebted to Nicolas and adopted his approach, but, unlike Nicolas, Luther unreservedly equated papal Rome with the beast and Babylon the harlot. Other reformers followed Luther, finding in Revelation’s imagery allusions to papal Rome and the Reformation. The faithful church was the woman who was hid of God 1,260 days in the wilderness. (Rev. 12:6, 14) Using the day-for-a-year approach, it was thought the 1,260 days were the number of years from the church’s apostasy under the popes, until the Reformation. In seeing papal Rome as the beast and harlot, the Reformers were following themes first advanced by the Franciscan Joachites. The Joachites were also the first to see allusions to their own time in the 1,260 days of the woman hiding in the wilderness, predicting that the year A.D. 1260 would bring in the fabled third status. Thus, each vision often retraces the steps of its predecessor, portraying the same period from a different perspective, but extending progressively further in time and event toward its ultimate climax. Thus, the day of the Lord or parts thereof are portrayed no fewer than five times. (Rev. 6:12-17; 11:15-19; 14:19; 16:19-21; 20:11-15) The eschatological war against the saints is also portrayed several times under different names and symbols: in Rev. 16:16 it is portrayed under the imagery of the battle of Armageddon; but in Rev. 19:11-21 and 20:7-10 it is described as the battle of Gog and Magog. The binding of the dragon and beast in Rev. 20:1-3, is first alluded to in 11:7 and 17:8. Indeed, the whole of chapters 17:1 though 20:11 is a parenthetical recapitulation of events described in chapters 13-16. Perhaps the most obvious proof that Revelation is thematically arranged is the fact Christ’s coronation is portrayed in chapters four and five, but his birth and ascension are portrayed in chapter twelve! In attempting to interpret Revelation in a continuous, chronologically progressive manner, the continuous-historical method is at hopeless odds with the thematic and recapitulatory structure of the book. 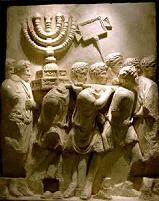 Revelation chapters 1-11 describe the rejection of the Jews and the destruction of Jerusalem by the Romans. Chapters 12 - 19 describe the overthrow of Roman paganism (the great harlot) and the conversion of the empire to the church. Chapter 20 describes the persecution and judgment upon the antichrist, identified as Nero Cæsar (54-68 A.D.). In attempting to understand Revelation in terms of the historical circumstances of it recipients, Alcasar employed the scientific canons of literary criticism and thus came very close to a correct understanding of the book. However, in ascribing the final victory to the Roman Catholic Church, Alcasar struck a sour note at a time when Europe and the world was committed to breaking ties with papal Rome. Preterism’s rebirth was thus abortive and would have to wait almost three hundred years before it received serious attention again. With the exception of Russell’s Parousia, the above titles were “partial Preterist” – the assumed that at least some of Revelation’s imagery remained to be fulfilled. At this stage, Preterism was merely academic, existing only in scholarly circles. It would be another hundred years before Preterism would become a grass roots movement. Because at this stage Preterism existed only at academic levels, it was destined to be eclipsed by a rebirth of chiliasm in the form of Dispensationalism. Dispensationalism is probably the dominate approach to eschatology today, particularly in the United States. It usually credited as the child of John Nelson Darby of the Plymouth Brethren. Darby believed in the future salvation and restoration of national Israel. He believed that Old Testament promises and prophecies to Israel were not fulfilled in the church or New Testament. Dispensationalists deny that the church replaced Israel as God’s covenant people, arguing instead that ethnic Jews are still the object of God’s special promises. Dispensationalists believe that Jesus came to set up an earthly kingdom over the Jews and world. However, when the Jews allegedly rejected Jesus (but see Jno. 6:15), God’s plan was foiled, the prophetic clock of Daniel’s 70 weeks was stopped, and the church was created instead as a type of “parenthesis” in God’s larger plan. Thus, instead of being the culmination of God’s plan, the cross was supposedly an unforeseen contingency. Dispensationalists believe in an “any moment” “rapture” of the church. Once the church is wafted away, the prophetic clock of Daniel will resume ticking and the seventith week ensue. During the 70th week, national Israel will again assume center stage, the temple be rebuilt, and the Old Testament sacrificial system resumed. After this, Dispensationalists believe the second coming will occur and there will be a millennial reign of Christ on earth at Jerusalem. Darby’s and the Brethren’s writings influenced protestant ministers in America, including D. L. Moody, James Brookes, J. R. Graves, A. J. Gordon, and C. I. Scofield. Dispensationalism gained grass roots enthusiasm where preterism of the 1800s failed largely through the Bible Conference and Bible Institute movements. Beginning in the 1870s, various Bible conferences sprang up around the U.S. These conferences were not started to promote Dispensationalism, but proponents of this new theology promoted their program at the conferences. In time, conferences like the American Bible and Prophetic Conferences (1878—1914) would actively promote Dispensationalism. In the late 1800s, several Bible institutes were founded that taught Dispensational theology. These included The Nyack Bible Institute (1882), The Boston Missionary Training School (1889), and The Moody Bible Institute (1889), the Bible Institute of Los Angeles (1907), and the Philadelphia College of the Bible (1914). However, Dispensationalism received it greatest promotion by Cyrus Scofield. The publication of Scofield’s Reference Bible by Oxford University Press in 1909 was a wind-fall for advocates of Dispensationalism. The Scofield Reference Bible became the leading Bible used by American Evangelicals and Fundamentalists for the next sixty years. Finally, following WWI, many dispensational Bible colleges were formed. Foremost of these was Dallas Theological Seminary (1924). Dispensationalism thus began to be taught in an academic setting, influencing generations of college students. Dispensationalists have been taking a beating in recent years from debaters of the Preterist camp, and today they will no longer accept challenges to debate. Let us hope this is a sign that the sun is beginning to set on his dangerous doctrine. The Preterist movement today originated largely in the churches of Christ. The Churches of Christ have their origin in the American Restoration Movement of the early 1800s. The movement placed a strong emphasis in departing from traditional forms of worship and organization, and man-made creeds and dogmas, in favor of returning to the Bible as the all sufficient rule of faith and practice. “Christ our only creed, the gospel our only plea, the Bible our only rule of faith and practice” was one of the movement’s leading slogans. Because it was a movement whose emphasis was on doctrinal reform, the Church of Christ placed unusually strong emphasis on personal Bible study and an unmatched command of the scripture in members and leaders alike. Emphasis on the need for doctrinal correctness and the movement’s traditional abhorrence of creeds created an environment conducive to recovering New Testament Preterism. Foy E. Wallace Jr., the Father of Modern Preterism? If there is a single individual that can be credited as the father of modern Preterism it is the Church of Christ preacher, evangelist, author and editor, Foy E. Wallace Jr. Wallace was a leading figure in the Churches of Christ coming out of the 1930s. A superb speaker, able debater, and writer, he quickly rose to national prominence in the Churches of Christ, holding numerous meetings across the U.S. each year. Wallace also served as editor of the Gospel Advocate (Nashville), a leading monthly publication within the Churches of Christ. In his role as editor, writer, and preacher, Wallace would help define the issues and establish the norms that would shape the church for the next fifty years. One of Wallace’s contributions toward the modern Preterist movement was his attack upon Dispensationalism (Premillennialism). Premillennialism threatened to enter the Churches of Christ in the early twentieth century through Robert H. Boll, a prominent preacher, who also served as editor of the Gospel Advocate. Boll became enamored with the Premillennialism of Charles Taze Russell, founder of the Jehovah’s Witnesses, and began writing Premillennialist articles for the Gospel Advocate (circa 1910). Boll was forced to resign, but continued to teach and disseminate Premillennialist doctrine within the church, gaining a following. The Premillennial movement within the churches of Christ was destroyed primarily by Foy Wallace Jr. during his four year (1930-1934) tenure as editor of the Gospel Advocate and in two debates with Charles Neal. The first Wallace-Neal debate was held in Winchester, KY., Jan. 2-6, 1933, and was later published in book form. Neal affirmed "The Bible clearly teaches that after the second coming of Christ and before the final resurrection and judgment, there will be an age or dispensation of one thousand years during which Christ will reign on the earth." Wallace also started a publication entitled the Bible Banner to refute Premillennnial doctrine and would publish God’s Prophetic Word (1946, revised 1960), a volume of several hundred pages, which today remains one of the most thorough treatments exposing Premillennial errors. Central to Wallace's refutation of Premillennialism was proof of the restoration of the Davidic throne and kingdom in Christ beginning with his ascension. The other side of Wallace’s contribution to the modern Preterist movement was his commentary on Revelation, published in 1966. Wallace devoted forty-five pages to defending the early date for composition of Revelation, and demonstrated throughout that Revelation’s major theme was the destruction of Jerusalem in A.D. 70. Although Wallace’s commentary was merely partial Preterist, seeing in Revelation twenty’s millennia imagery extending beyond the first century and into the indefinite future, it remains a favorite in Preterist circles today. Wallace’s efforts to establish the historical, first century context of Revelation and the fulfilled nature of the Davidic kingdom and throne in Christ’s church paved the way for later generations in the Church of Christ to arrive at the full Preterist position. One of the earliest advocates of fulfilled eschatology was Max R. King, a preacher from Warren, Ohio. King published a book entitled The Spirit of Prophecy (1971), in which he argued that Christ’s second coming occurred in A.D. 70. King’s book drew fire and a debate was held between King and Jim McGuiggan (1975), a prominent writer and preacher in the churches of Christ. King soundly defeated McGuiggan. The debate was later published as the McGuiggan/King Debate (1975). King’s able defense established that there was more to Preterism than met the eye and required closer looking at. Subsequent attacks upon “Kingism” in brotherhood papers and periodicals only served to give the movement publicity and win more to its side. Other Church of Christ preachers whose studies independently led them to the full Preterist position and who would join forces with King included Jack Scott (Pinole, CA/ Kalispell, MT), Don Preston (Ardmore, OK), and William Bell (Memphis, TN). Together these, with Ed Stevens (Bradford, PA) and John Noë (Indianapolis, IN) (more below), would become the leading edge of the Preterist movement in the 1980s and 1990s, writing articles and reasoning with those that would meet them in public debate. King has since lost significant influence in the movement due to peculiar beliefs about the nature of the eschatological resurrection (the “corporate body” view). According to King, all New Testament passages about the resurrection have their primary application to the spiritual resurrection of Christ’s mystic body from Judaism’s “sin-death;” the individual’s personal resurrection from hades is only secondarily alluded to, if at all. Although embraced by many in the early days of the movement, most preterists have moved away from King on this position. Few today see reference to the resurrection of a corporate body anywhere in the New Testament, it being the general consensus that the eschatological resurrection spoke to the resurrection of the soul from hades; Christians dying today go straight to heaven. King’s son, Tim, is presently at the head of Presence Ministries, an organization King founded to promote preterism, but has taken it in a direction that has further alienated it from mainstream preterism. Ed Stevens espoused partial Preterism while at Texas Tech in 1972 through Foy E. Wallace Jr.’s commentary on Revelation, and was well on his way to full Preterism in the mid ‘70s while studying at Sunset School of Preaching in Lubbock, Texas, a Church of Christ institution, where he met King and obtained a copy of his book The Spirit of Prophecy. King was then engaged in the written debate with McGuiggan, who was an instructor at Sunset. Few have advanced the cause of Preterism like Stevens. Versed in computers and HTML when the industry was still young, Stevens established an early presence for Preterism on the internet. Stevens would go on to leave the Church of Christ, joining the Reformed Church, carrying the message there, and wining many to the cause. His International Preterist Association continues to be a leading voice in Preterism today. Don Preston came into the movement in the early nineties and is perhaps the most studied and able voice in Preterism today. Don is testimony to what one man can do with the support of a congregation behind him. His position as preacher at the Ardmore Church of Christ, where he has served for 15 years, has enabled him to devote much time and effort to the cause. Don has published numerous articles, books, and tracts, and met many big names in debate, including Tommy Ice, F. LaGard Smith, and James Jordan. Other Church of Christ ministers that have published Preterist works include Jesse Mills (Results of Fulfilled Prophecy, 2001, Commentary on Daniel, 2003; Commentary on Revelation, 2004); Gene Fadely (Revelations, Kingdoms in Conflict, 1995; Hebrews, Covenants in Contrast,1996; Prophecy: Year 2000 and Beyond, 1998); Tom and Steve Kloske (The Second Coming: Mission Accomplished, 2003), and Kurt Simmons (The Consummation of the Ages, 2003).Other Church of Christ ministers that have published Preterist works include Jesse Mills (Results of Fulfilled Prophecy, 2001, Commentary on Daniel, 2003; Commentary on Revelation, 2004); Gene Fadely (Revelations, Kingdoms in Conflict, 1995; Hebrews, Covenants in Contrast,1996; Prophecy: Year 2000 and Beyond, 1998); Tom and Steve Kloske (The Second Coming: Mission Accomplished, 2003), and Kurt Simmons (The Consummation of the Ages, 2003). Non-Church of Christ names that have risen to the top of the movement include John Noë and John Anderson. Noë has been active in the movement since the early nineties. Noë is the first full Preterist to be awarded a PhD (2003). Noë’s published works include The Apocalypse Conspiracy (1991), Beyond the End Times (1999), Shattering the Left Behind Delusion (2000), and Dead in their Tracks (2001). Noë has also recently had a Preterist article - An Exegetical Basis for a Preterist-Idealist Understanding of the Book of Revelation - accepted and awaiting publication in JETS (Journal of the Evangelical Theological Society), which he has been a member of for many years. John Anderson has hosted a weekly radio broadcast since Feb. 2001, which has carried the message of Preterism to untold thousands across the U.S. and around the world. John joined Don Preston in debating Tommy Ice and Mark Hitchock (2003), and has hosted a conference in Sparta, NC, since 2001, featuring many leaders from within the movement. Today, Preterism has leaped over all denominational boundaries and claims champions and adherents from every major church in Christendom. Beginning in the late eighties, Preterism received an enormous boost from some of whom would later be among its most vitriolic opponents. In 1983, R. C. Sproul Sr., a leading voice in the Reformed Church, wrote the foreword to a republication of J. Stuart Russell’s The Parousia. Russell’s book, written in the late 1800s, took a full preterist position regarding the second coming, arguing that Christ returned in the events culminating in the destruction of Jerusalem in A.D. 70. Although Sproul stopped short of giving full endorsement to Russell’s conclusions, the republication of The Parousia by Baker Books, a leading publishing house, with Spoul’s name appended, gave Preterism an enormous boost, taking it from the fringe and thrusting it into mainstream Christendom. Baker Books would later publish Sproul’s The Last Day’s According to Jesus (1998), in which Sproul made the case that most New Testament passages traditionally understood to speak to the end of the world actually spoke to the destruction of Jerusalem. In his book, Sproul mentioned by name several advocates of full Preterism, including Ed Stevens and Max King, giving further credit and exposure to the movement. Sproul also discussed, but did not decide, various views about the resurrection, leaving, or appearing to leave open the distinct possibility that the full Preterist position was viable. In 1989, Kenneth Gentry Jr. published Before Jerusalem Fell. Gentry’s book argued from both external evidence of patristic writers and internal evidence from the text itself that Revelation was written before, and is about, the destruction of Jerusalem in A.D. 70. Gentry’s book has since undergone several reprints and has contributed significantly to the cause of Preterism. Other works of Gentry include his contribution to a commentary on Revelation (Four Views of Revelation), Perilous Times (1999) and The Beast of Revelation, each of which argues a first century context for many eschatological passages. Unwilling or unable to go the whole way to full Preterism, still clinging to the empty promise of Postmillennialism, Gentry has written numerous articles bitterly declaiming against Preterism and Preterists. Sproul Jr., whose father authored The Last Days According Jesus, has also shown himself to be of the same ilk by becoming also outspoken enemy of Preterism. Both men contributed to a book edited by Keith Mathison entitled When Shall These Things Be, A Reformed Response to Hyper-Preterism (2005) - a surprisingly weak, but bitter attack on full Preterists, particularly Ed Stevens. This book has created a chilling effect upon many who were looking at full Preterism, but a response is in the offing, featuring the contributions of many leaders in the movement (including the present writer), and is due to be published by Ed Steven’s International Preterist Association in November of 2006. We predict that this attack on full Preterism will backfire when readers see how contributors respond to the objections put forward in Mathison’s book. The result will be a wind-fall for truth! As has so often been true in the past, the more the truth is attacked, the more it prospers and grows. The original Preterism of Christ and the apostles never perished. Although other schools of interpretation have come and gone, Preterism has always remained. Its reemergence as a grass roots movement in the Churches of Christ in the mid-twentieth century was the result of the ministry of Foy E. Wallace Jr. a generation before, and its members unflinching zeal for the truth. By letting the Bible speak to readers directly (sola scriptura), rather than through the voice of antiquated creeds and confessions whose utility has long since vanished, the original Preterism of the New Testament was recovered. Today, the truth, long hemmed in by ecclesiastical authorities and tradition, has broken out and promises to sweep the field. Let the enemies of Preterism be ware!